Maple Grove Baptist Church of Lakeport burned their mortgage note during its Homecoming Celebration last Sunday, Jan. 28. The symbolic act represented the church’s final payment on its buildings and properties. Maple Grove Baptist Church in Lakeport burned their mortgage note January 28th. 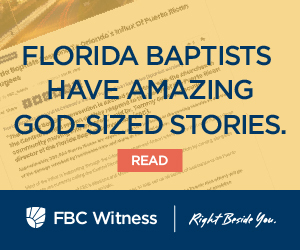 Miller Couse, chairman and CEO of First Bank, Clewiston presented the satisfied mortgage to Pastor Scott Garvin who was accompanied at the altar by deacons Ken Brown and Joel Nobles, chairman of buildings and grounds, Charlie Hall and Delores McEachin. Delores and her husband Bill, who has now passed away, provided some initial funds to secure the property for purchase over 20 years ago. “Thank you for lending us the money,” McEachin told Couse to which he replied “thank you for paying it back” as the congregation laughed. 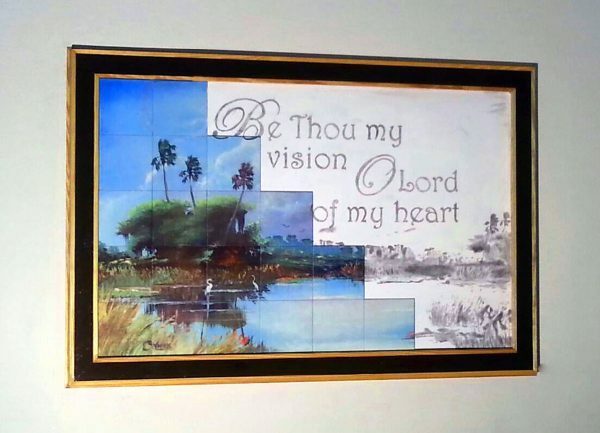 A ceramic tile mosaic hangs in the sanctuary of the church and was used to show the debt reduction progress over the last two years. The last tile was placed in the mosaic symbolizing the satisfaction of the debt. The final tile was placed on the mosaic during Sunday’s service amidst applause, cheering, and singing. 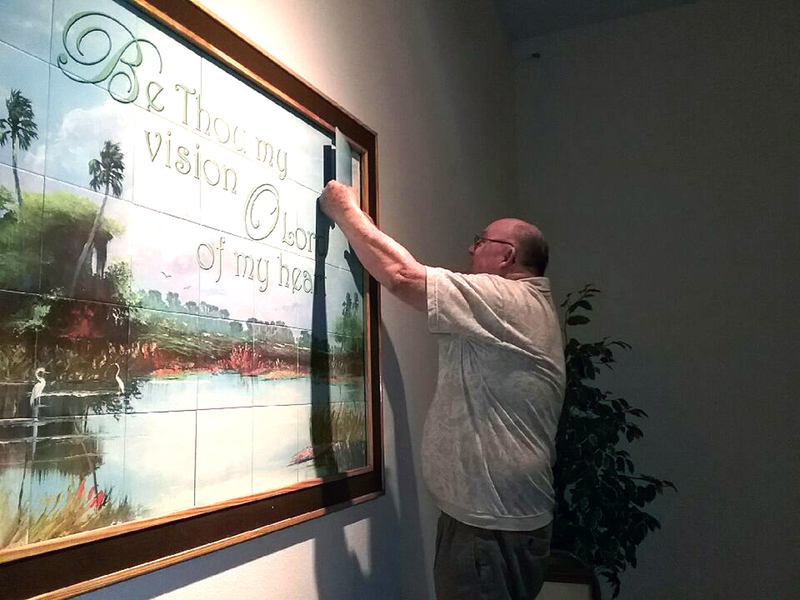 The 5’x 8’ Mosaic, made in the style of the famous Florida Highwayman art, was painted by local artist Oscar Whirls and commissioned by Pastor Garvin for the purpose of helping the congregation visualize the debt free campaign’s progress, with each tile of the mosaic representing $1,000. Garvin pointed out to the congregation that what they were witnessing was a “modern miracle” explaining that in a day of reduced pensions, job scarcity, business closings, and other economic hardships in our area, sometimes it’s hard to just make sure the bills are paid. 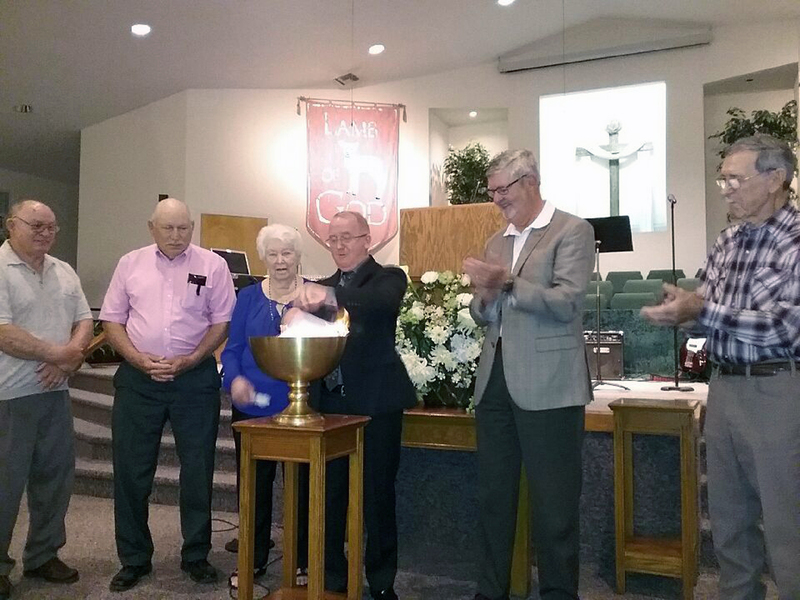 In this case, however, the Lord saw fit to take Maple Grove Baptist above and beyond what was expected, allowing the church family to take care of their financial commitments early. The church is excited to use the freed up resources to help minister to the community in new and better ways.